SUCCESS: We believe that “success” for all dancers is defined as doing the best you are capable of doing, on and off of the dance floor. POSITIVE LIFE VALUES: We strive to promote a challenging but supportive/nurturing environment guided by honesty, teamwork, fairness, caring and respect for self and others. We believe in fostering a motivational climate through a sensible balance of work and fun. CULTURAL APPRECIATION: We deeply appreciate the art form of Irish dance and the roots of the tradition, and try to instill in each student a lifelong love and appreciation for the art and its roots. COMPETITIVE EXCELLENCE: We are committed to providing our students with intensive competitive training with an emphasis on technical mastery. PERFORMANCE: We believe that performance is a valuable tool through which students strengthen their dance and teamwork skills, connect with the community, and enjoy their talent with others. COMMITMENT TO COMMUNITY: We feel a strong sense of connection to our community, including those less fortunate, and look to build bridges of friendship and community through our dance. At O’Grady Quinlan, we know the importance of positive life values in the overall development of the child as dancer, and young adult. We provide many opportunities for performance and community involvement to aid in teaching your dancer those values and showing the importance of sharing their talent and time with others. We also love the competitive side of Irish dance at OGQ! The track record of teaching success from the instructors is unique: they have taught over 2,000 students over the years, qualified scores of students for the highest level competitions – including the North American Championships every year since 1993 and the Worlds as early as 1996. Students at O’Grady Quinlan have won regional titles and placed top ten in many major championships worldwide. 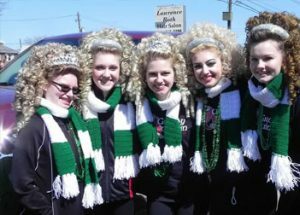 O’Grady Quinlan has built solid and lasting ties in the Lehigh Valley and Irish Dance communities across the world. 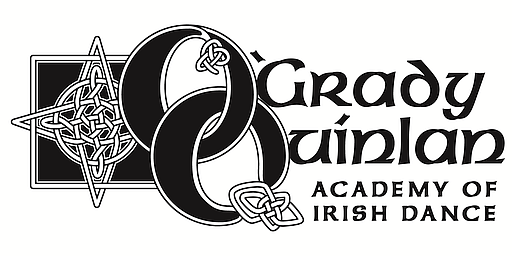 The combined strengths of the teachers at the O’Grady-Quinlan Academy today offer students in Eastern PA and Western NJ with unparalleled Irish dance experience, expertise, resources and possibilities.